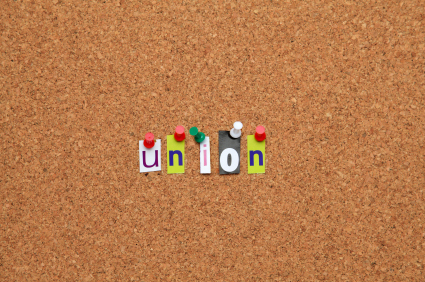 Previously, the Foster Swift Health Care Law Blog notified you of an NLRB requirement for employers to display notices about employees' rights to organize a union. The notice requirement was delayed, and employers were not required to post the notice until April 30, 2012. On April 17, 2012, the United States Court of Appeals for the District of Columbia granted an emergency motion for injunction pending appeal and for expedited consideration related to the notice requirement. This was discussed in Foster Swift’s recent Employment, Labor & Benefits E-News. In particular, it is important to note that this court's decision means that employers are not required to post the notice until the court rules on the NLRB's authority to promulgate such a requirement. Oral arguments on this issue are expected to occur in September, 2012. Foster Swift's Employment, Labor & Benefits E-News and Health Care Law Blog will keep you posted on this issue. Also, as was reported in a March 26, 2010 Employment, Labor & Benefits E-News, the NLRB's new, expedited rules for representation elections went into effect April 30, 2012. That rule is also subject to litigation, but a motion requesting that the judge prevent the rule from going into effect (until he had issued a decision on the merits) was denied. An appeal and a motion for an injunction pending appeal is expected to be filed promptly, but unless enjoined, the NLRB could order hearings to be held within 7 days of the filing of a petition. Mike Blum is an award-winning Michigan labor and employment lawyer in Detroit who has litigated some of the state’s most important cases. Part of Mike’s effectiveness as a litigator, in ADR and as a counselor to employers, comes from his 11 years with the National Labor Relations Board.